LAGRANGE – Members of a community study committee presented their findings to the Lakeland School Board last night in a three hour meeting at the high school auditorium. Separate groups studied a 3, 4 and 5 school configuration, with another group studying marketing of the district. The 3 school group said that configuration presents the quickest way to address the funding shortfall facing the district. They also said closing the schools at Wolcott Mills and Lima Brighton would be best for students, parents and teachers, allow more balanced class sizes, and rejuvenate music programs. They said there is room in three buildings for all grades and programs. 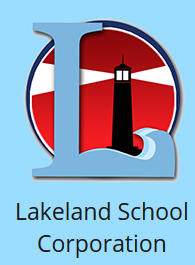 The four school plan would keep all three elementary schools open and close Lakeland Middle School. Those elementaries would become K-6 buildings and the high school would house grades 7-12. It would come within $110,000 of closing the funding gap next year. They felt this would buy time to find other areas that can stabilize the district in the long term, without the drastic change of closing the two schools. The five school plan focused on the potential costs of closing two schools in lost students and lost support for a potential referendum. They noted there are currently 247 students who live in the Lakeland district but attend school elsewhere, taking almost $2 million in funding with them. If another 250 students were to leave following the closings, they would take more than $1.6 million in funding with them. They proposed keeping all buildings open, implement other savings of $500-to $800-thousand dollars, start the referendum process, and start a marketing campaign to attract students. The marketing committee noted that Lakeland captures only 83% of the non-Amish population compared to 90% average for all public schools. They said the goal should be to capture those students while increasing awareness of Lakeland programs among the Amish. Starting a conversion charter school was mentioned as a way of capturing more interest in Lakeland. The school board will meet Wednesday evening to discuss the proposals during a work session. A decision is expected next week.